The other name of otoscope is auriscope. It is a medical device used for looking into the ears. It is used to find illness related to ears. In regular checkups, an otoscope is used to make sure ear system is working fine. If doctors find any symptoms, they will give proper medication and treatment for cure. A clear view of the eardrum and ear canal can be seen with an otoscope. Eardrum separates the middle ear and external ear canal, as it acts as the border between them. So, analyzing the eardrum with an otoscope mostly indicates the cause of illness, if any. Commonly used otoscopes will have a head and a handle. A light source and magnifying lens are present in the head section. The lens is capable of zooming 3 times the normal. Wall mounted, and portable otoscopes are two types of the most commonly used otoscope. 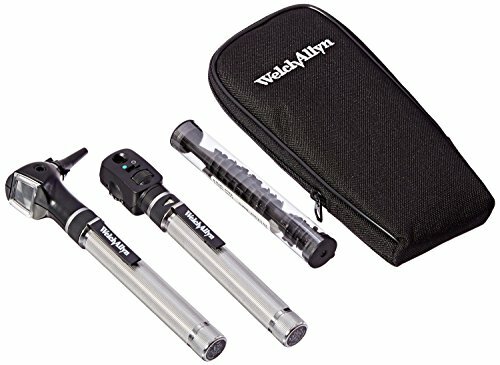 Wall mounted otoscope runs with electric power while portable runs with battery power. These are the essential features of a regular otoscope, but a lot of advancements in technology are included in the latest devices. The handle is pretty much convenient to use and accepts all types of Welch Allyn 3.5v instrument heads. It has a smooth grip, and non-abrasive finish makes it un-slippery. The zoom feature is available for enhanced vision. You can store digital images and also can share them. Storing Digital images and linking it to patient records has advantages. During regular Checkups and reviews, they can refer these images and check to treat the patients. The power source is compatible with all types of Welch Allyn 3.5V power sources. Nickel-Cadmium battery is used that lasts long after a full charge. 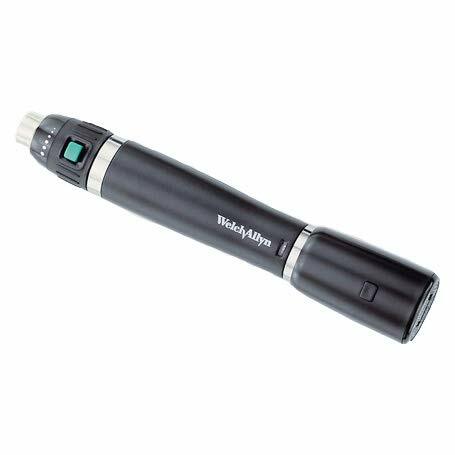 This is the best otoscope for home use. The set consists of PocketScope Ophthalmoscope, Otoscope and AA battery handle. The other name of Ophthalmoscope is funduscope. It is used in examining retina condition and other eye-related problems. Both halogen illumination and fiber optics will give enough light required for retina examination. The rheostat is adjustable for controlling the intensity of light. The package comes with a scratch resistant optical glass lens, Disposable Specula (sizes for both adults and kids), battery and web link which consist of 30 HD photos related to eardrum pathology. While LED light is shock resistant and durable. Glass lens gives a clear view of the eardrum. Use specula accordingly, i.e., 4.75mm Specula size for adults and 2.75mm for children. Battery backup is decent. The lens can be taken out, cleaned and can be reinstalled again. Germans are known for making quality products. German cars, watches, and many items are suitable examples. This product is made of High grade German Stainless steel. Glass lens is of optical quality provided with a balanced handle. Powerlock Bayonet Fitting system is used in this device. Halogen bulb gives out bright lighting. Two C-size batteries are required for powering this device. Specula come along with the package. People can buy otoscope for home use as well as for professional purpose. 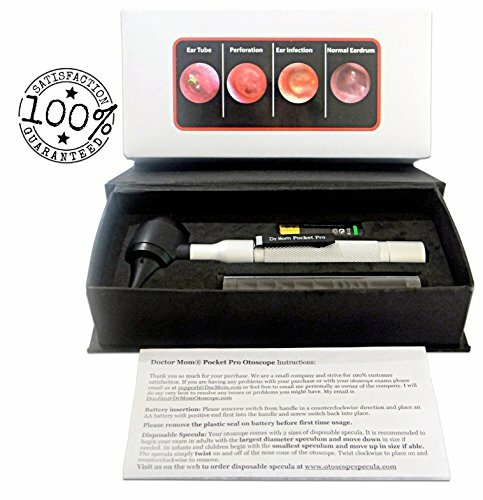 ENT (Ear Nose Throat) Diagnostic kit is a complete set of tools and devices for treating the problems related to ear, nose, and throat. The set consists of an illuminator, 3 ear specula, a handle, a nasal adapter, a head lens wheel, 2 mirrors, and 2 bulbs. Eyes, nose, ears, and mouth are the most sensitive areas in a human body. Ear infections will be caused due to a number of reasons. 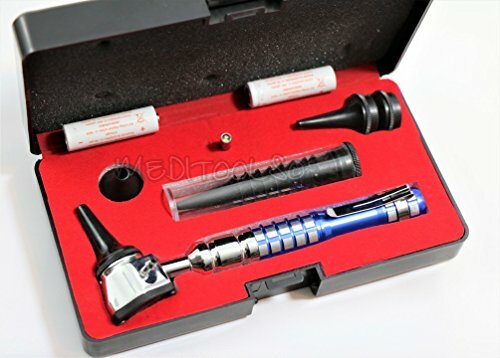 To effectively eliminate the sickness, best otoscope devices are recommended to be used. Buying an otoscope might be a confusing task since many otoscopes exist in the market. 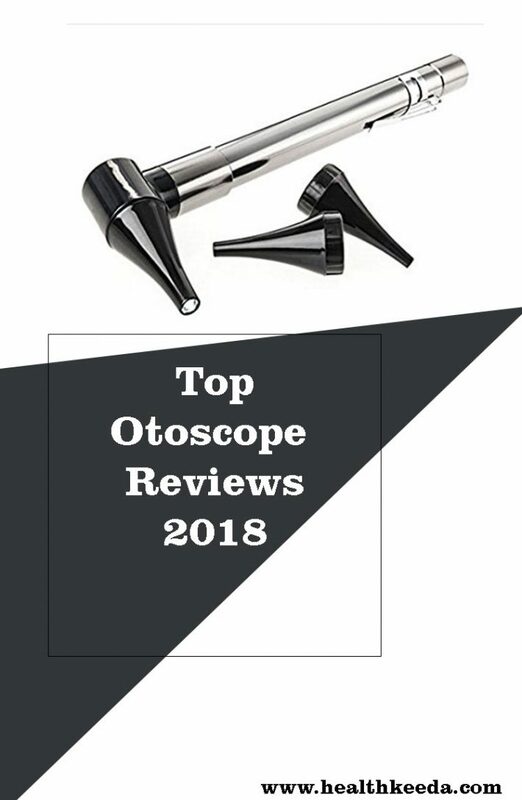 So, consider the above best otoscope reviews 2018 and make your choice.